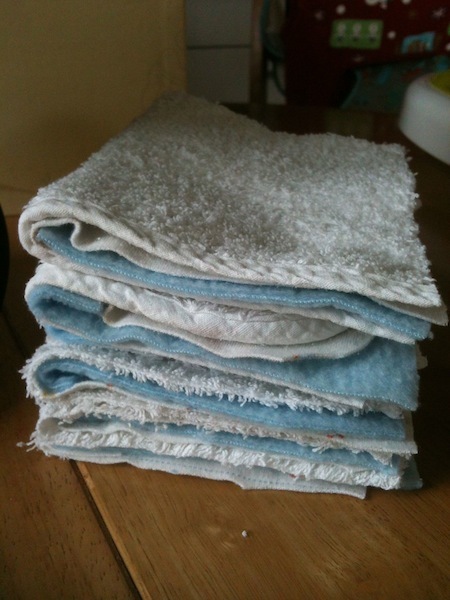 The fluffy epilogue that I wrote after Real/Cloth Nappy Week this year talked about my realisation that washable wipes were a very simple concept and that I could make some myself rather than buy the branded or even WAHM-made ones (WAHM = work at home mum). I do like to support WAHMs where possible, but in this case I’m being my very own WAHM and saving myself the cost of buying washable wipes even from them. Although these took me very little time to make, the process taught me that I would actually find it very hard to be a WAHM myself at this stage when the boys are still so young, because I found I could only grab the odd five or ten minutes here and there between doing things with them, for them and around the flat. I don’t know how WAHMs do it! At least all the blogging I do is when I’m sitting down feeding or have a sleeping baby on me and can’t do other stuff anyway. And at least the wipes were simple enough that I could flit in and out of doing them easily. 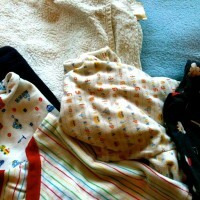 The fabrics I used were all old items of baby stuff that we no longer use for various reasons. 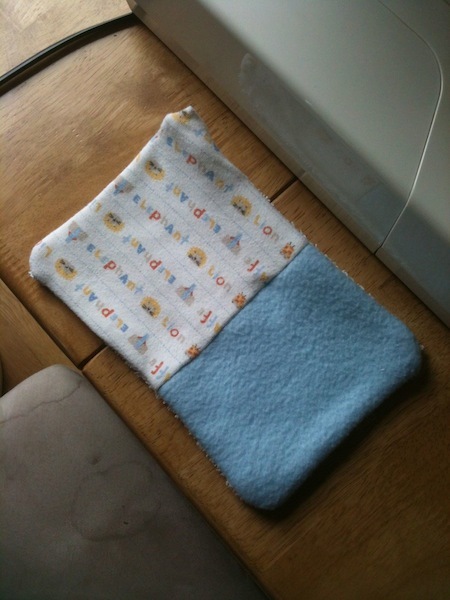 We had a baby towel that was free with one of the supermarket parenting clubs (I think) but it’s only for newborns and both our boys grew out of it in about a month. I also found a fleece throw that we hadn’t used much and some old clothes (in cotton jersey fabric) that were either very worn out or had stains on one bit of them but the rest was fine. 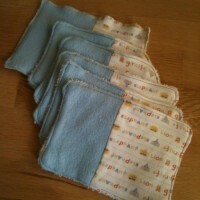 So I’ve done a bit of ‘upcycling’ (as seems to be one of the latest buzz words) in making these wipes. The first batch I made with half the towel had this towel fabric on one side and half fleece half jersey on the other. I made them fairly big at 13x20cm. Now that we’re using them I would say that we could get away with them being a bit smaller than this as they clean up poo so easily, so the next batch I make will be a bit smaller. I’d seen washable wipes online made in two different ways: (1) two pieces of fabric overlocked together, or (2) two pieces of fabric sewn right sides together then pulled through back on itself and top stitched around the outside to seal the hole left in order to pull it outside in. I experimented with both methods, and found that the second one worked better with these fabrics on my machine – I don’t have a proper overlocker so was just using that stitch on my sewing machine and cutting off the excess fabric, but it was hard to make a neat straight edge, and although it still functions as a wipe perfectly well, it doesn’t look as nice (or ‘professional’ in Tom’s words) as the outside-in-method ones. 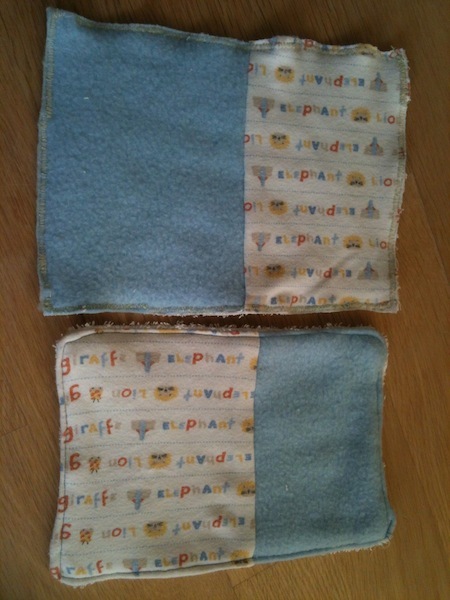 Here’s a tutorial with photos showing how I made these wipes (using the second method described above)…..
1) Cut out the fabrics – for a 13x20cm wipe you’ll need to cut 15x22cm of towel, and then fleece and jersey to cover roughly half each of the area of the towel, plus 1cm overlap where the fleece and jersey are sewn together. 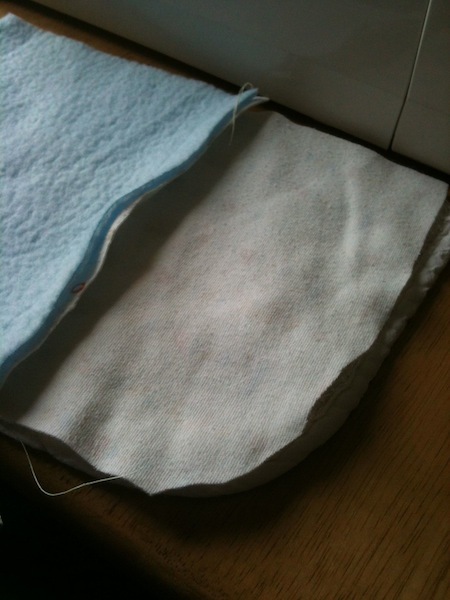 Here the photo shows the fabrics folded up in sets of towel, fleece and jersey all cut and ready to pin. 2) Sew the fleece and jersey together down the one side that will be in the middle of the wipe – put right sides together and sew using a plain straight stitch along this one side, 1cm from the edge. When you’re done, open it out flat. 3) Place the jersey and fleece piece right side down on the towel. 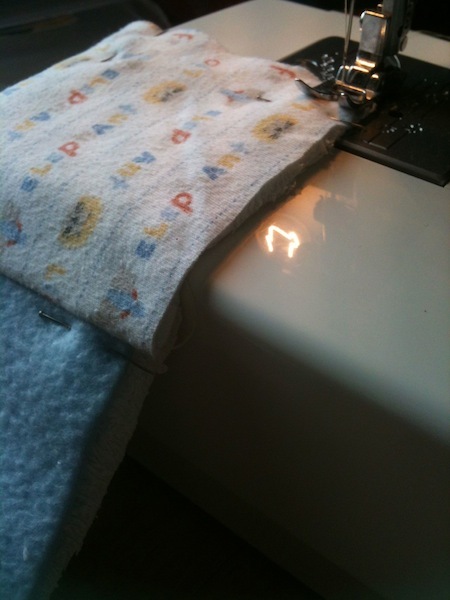 (In the picture – this was the corner of the towel so I trimmed the jersey fabric to fit the curve of the corner here). 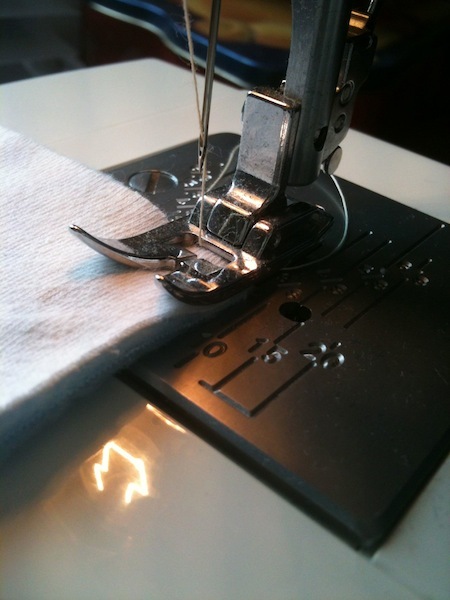 Pin at right angles to the edge of the fabric every few centimetres along all four edges. 4) Sew at 1cm from the edge all the way along three of the edges and about 2/3 of the way along the fourth edge to leave a hole where you can pull the fabric through from the outside inwards. Please excuse this photo – it DOES NOT show right sides together as it should – this was the one wipe that I overlocked instead and I must have taken a picture of this by mistake! Make sure when sewing the two pieces of fabric together that you can’t see the print of the jersey – if you’re just using towel and plain fleece, it wouldn’t matter anyway as there aren’t ‘right’ and ‘wrong’ sides. 5) Remove the pins and then pull the fabric through the hole to turn it outside in and reveal the pattern on the jersey. Fold the edges of fabric sticking out at the hole (as seen on the top left corner here) inwards, following the fold of the rest of the seam. 6) Top stitch (using a plain straight stitch on the machine) along the length of the hole and continuing along all four edges of the wipe, at about 2mm in from the edge, to give it a nice finish. 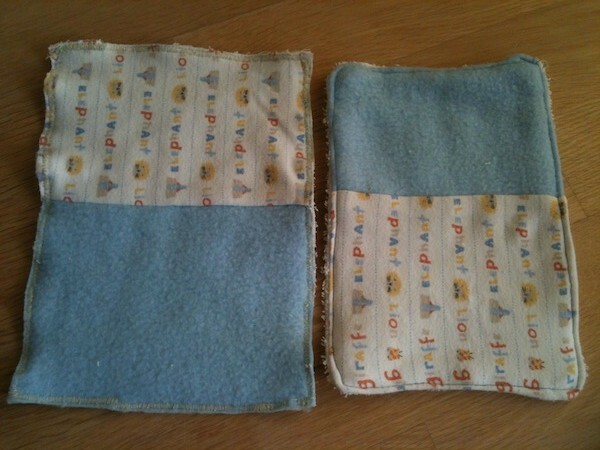 Here the picture shows the finished wipe on the right, along with the overlocked one on the left for comparison. Now to make some more, as well as some wet bags… whenever I find the time! 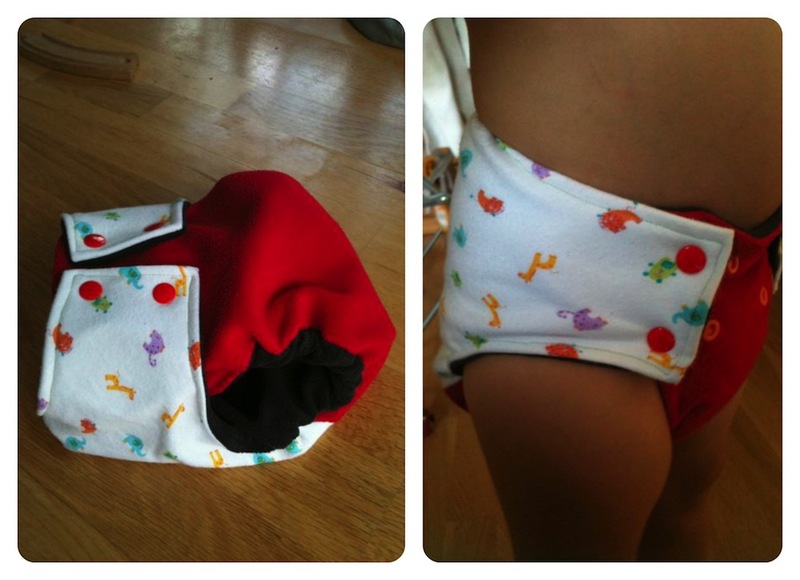 Just when I thought there wasn’t much more to know about cloth nappies, Real/Cloth Nappy Week came along and surprised me! 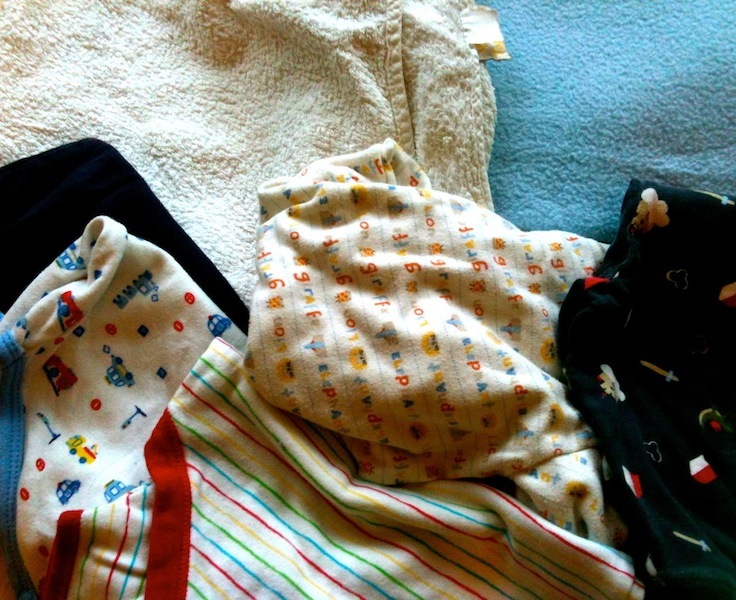 After having used just one sort (fitted birth-to-potty with wraps that we were given as a gift) for Andrew as a baby, I did loads of online research last summer and got my head around all the different terminology and mind-boggling options, to add to our stash for when Joel arrived. It was probably around that point that I got really hooked on them, but given that we’ve saved money overall by using cloth rather than disposables, I don’t think it’s an unhealthy addiction. My aims for Cloth Nappy Week were: (1) enter all the competitions online to try and win some goodies (internet connection on holiday permitting); and (2) find out more about washable wipes, as our rather large supply of disposable wipes that we bought in bulk very cheaply with a load of vouchers we were given is slowly coming to an end. I didn’t get anywhere with (1) – I never seem to win things, but I’m still of the old ‘if you don’t buy a ticket you won’t win the raffle’ mentality, and in this case all it cost me was my time in entering, which I had a bit more of than usual on holiday. I did, however, get somewhere with (2). I’d heard of Cheeky Wipes before, and they were certainly very involved in the fun of the week, but as I browsed the sites hunting for clues to the competitions, I became aware that there are so many work at home mums (or WAHMs) out there, who are beavering away at making some lovely nappies and accessories including washable wipes, and I didn’t know of most of them. As I looked in more detail at their wipes, I realised that I could in fact make some myself. Essentially they are a square of towelling backed with a square of fleece or cotton jersey fabric. 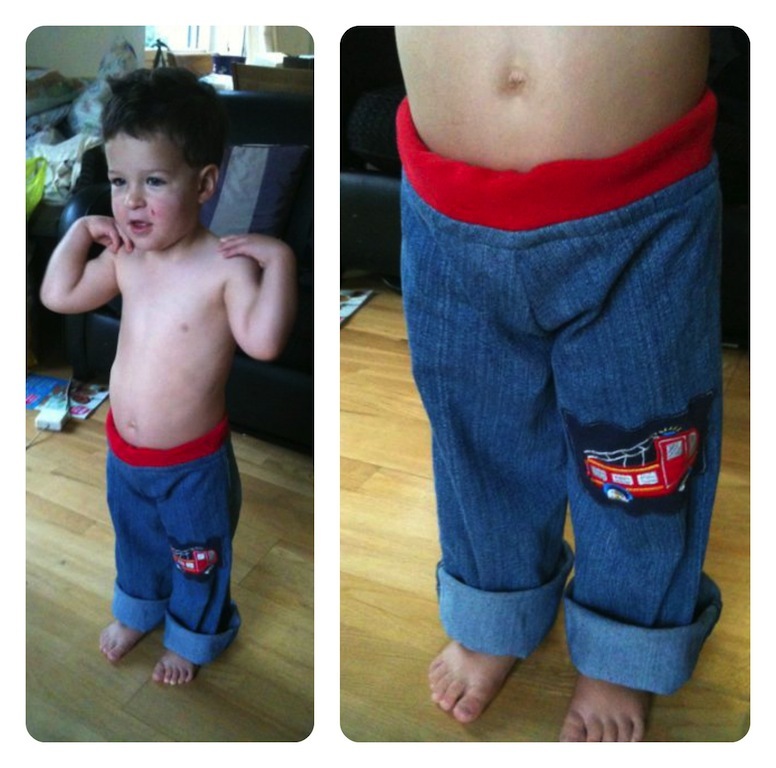 I’ve always loved sewing and used to do quite a few projects, though like many things in life, I’ve done far fewer since having children (my most recent ones were a toddler tie and the hungry caterpillar curtains that you see in this post). 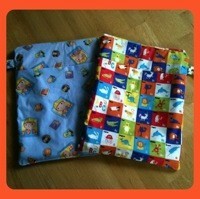 Seeing all the other mums who have put their sewing skills to use on nappies etc. 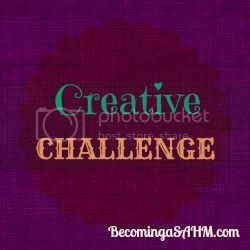 since having children has really inspired me to be creative myself. So instead of buying some wipes, I’ve found various bits of fabric stashed away in the flat that I can upcycle (love that word!) into wipes. I’ve also spotted some new fabrics online which I’m going to order to make some wet bags, which I could do with more of. 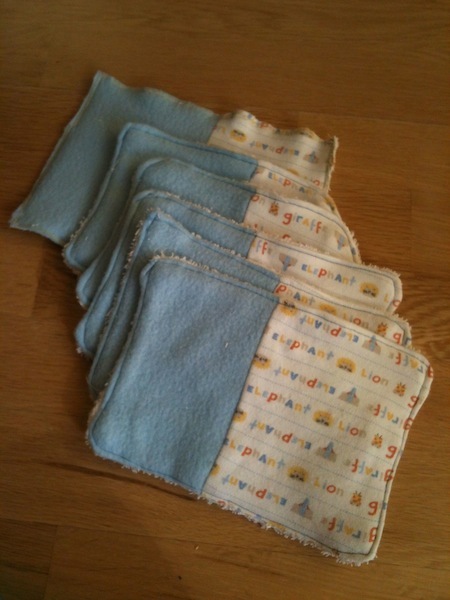 And whilst I’m at all this sewing, we could do with more dribble bibs as Joel is getting through a couple a day at the moment. Who knows, I might even end up having a go at a nappy or two if I get on a roll and time permits. I doubt I would ever find the time and space (as long as we live in Cambridge) to be a WAHM myself, but I could imagine making these kind of things for friends and family as presents. Watch this space for more posts on the finished items when I get around to making them. Apart from the inspiration to make my own kit, I’ve also been inspired to think about making cloth nappies accessible to more people. 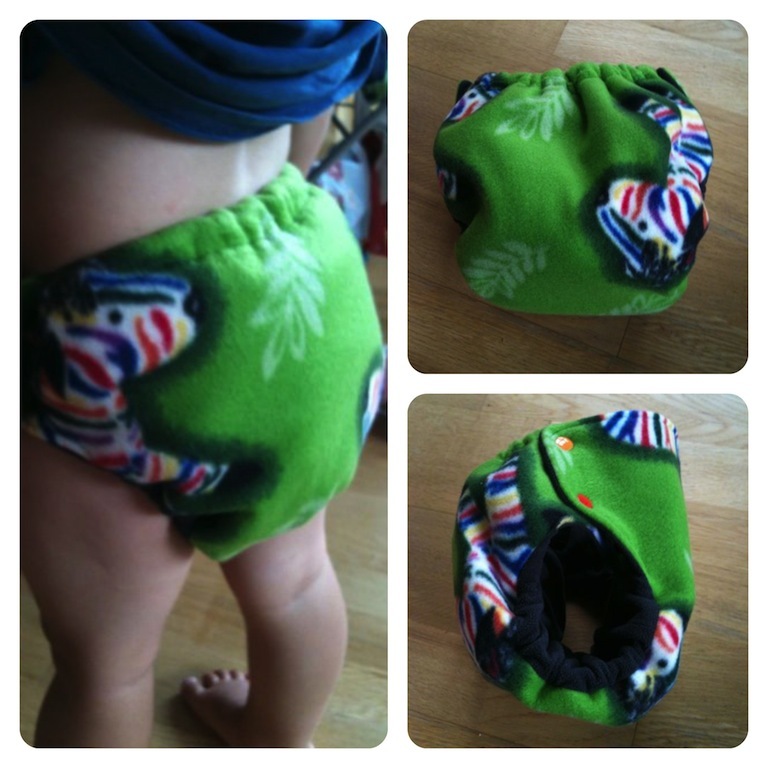 I know I love to ramble on for hours about cloth nappies, given half a chance, whether that’s in person or on the blog. So I thought it might be good to put this enthusiasm to good use on a wider scale. One way of spreading the word about cloth nappies and encouraging others to have a go is running a cloth nappy library – these are popping up in more and more places, though there isn’t one in Cambridge yet, which does surprise me actually. I have heard via a friend that she and some other friends are working on something, so I may get the opportunity to help with that. I need to read up some more on the practicalities of setting one up, but there are plenty of libraries already doing well that could give some advice. If you’re in the Cambridge area, let me know if you think you’d use a nappy library – I’d like to get a feel for how much interest there is. 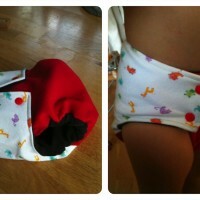 Another option would be to become an agent for a particular brand of nappy. There are a few schemes out there, though I’d obviously be more tied to a particular brand than just offering advice on nappies in general. This would involve organising parties in small groups at people’s homes or in places where parents meet up, such as at baby/toddler groups or in cafes. 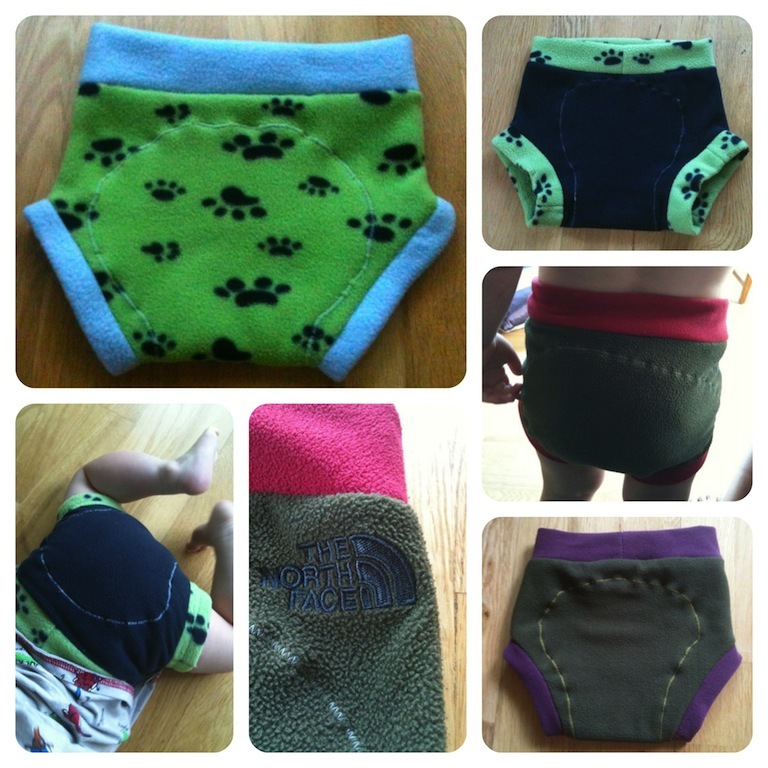 I’d vaguely heard about these before Cloth Nappy Week, but in browsing more websites I became more aware of what opportunities are available. I also learned that nappy demo parties are called Nappucinos! I guess a reference to the fact that many of them are held over a cup of coffee at home or in a cafe. I could always just do this kind of thing on my own, not attached to a company in some way. If you’re in the Cambridge area, or the Coventry area (as we have a free hotel aka my parents’ house to stay at for weekends), let me know if you’d be interested in this kind of thing – again I’d like to get a feel for how much interest there is for nappy demos near us. If I had more business sense, I’d really love to set up a shop in Cambridge that sells cloth nappies. 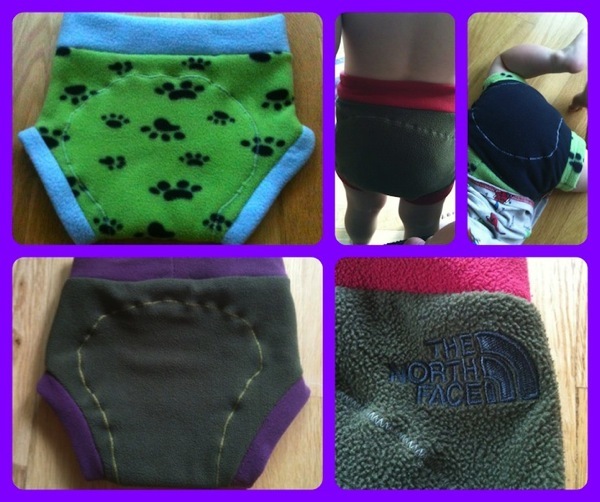 When I did all my research into the various types and bought some online, I was going on reviews from others and what the online retailers said about the nappies; I kept thinking that all I wanted to do was walk into a shop where I could handle the nappies, see how big they were, look at their shape next to my boys, ask questions to a person there and then, and buy to support an independent business with a local premises. Tom keeps saying that I should set up a shop, but I think he’s not being that serious, and I have absolutely no clue about how to go about such a task, so it sounds incredibly scary!